Wrapping up the last week of Photo 101 Assignments! Here are Days 16-20 – photographs representing: Treasure, Glass, Edge, Double and Triumph. 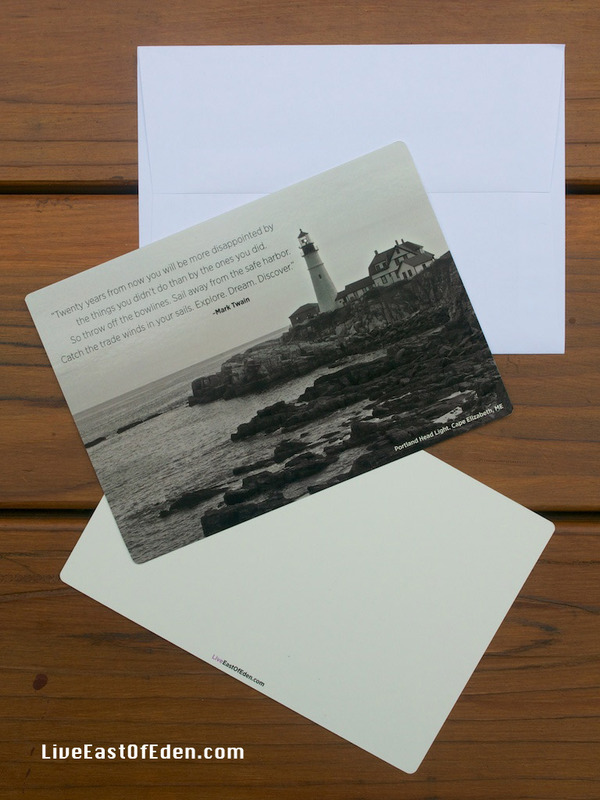 Treasure: Any object or experience that is deeply meaningful can be a treasure. On a trip to Mammoth Mountain, while my friends were snowboarding or skiing down Black Diamond runs, I was enjoying a leisurely walk by the cabin. 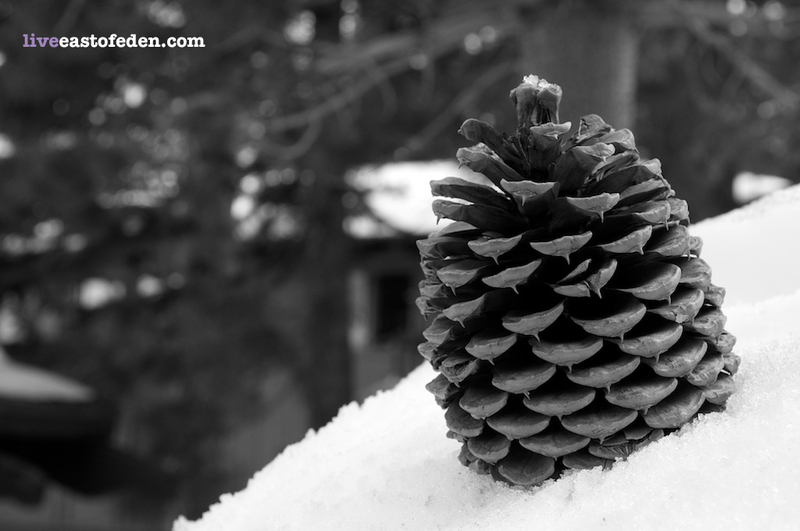 Here, in the quiet space in the woods, I got up close to my subject – a pine cone fallen off the tree onto the snow. Glass: Incorporate a form of glass into your image to add a layer of complexity. Lobby skylight at the Getty Center, Los Angeles. Architect Richard Meier’s design for the Getty Center sits on a hilltop, with natural light and open spaces. For more on architecture at Getty, see my previous post Getty Center Architecture: Work of Art with a Museum Inside. On a trip to Sedona, Arizona, my friends and I rented a cabin with some really custom interior design. 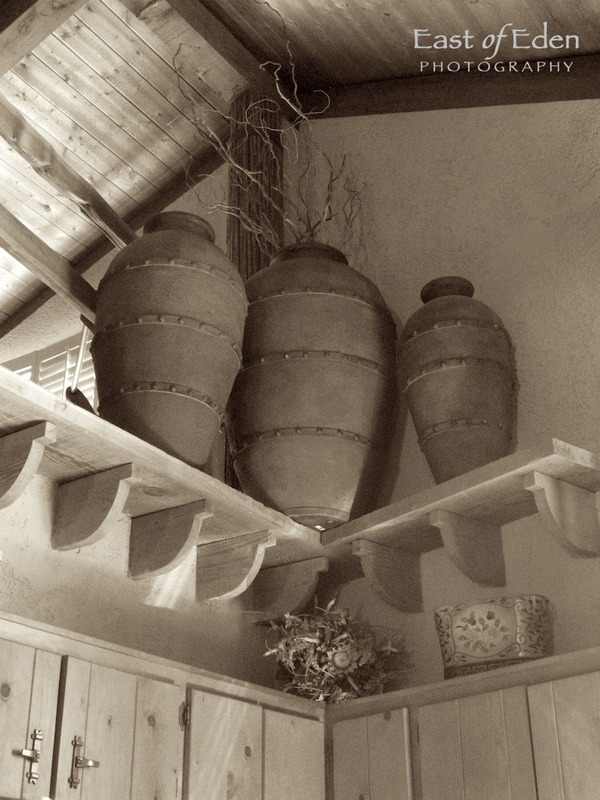 These vases sit on the ledge above the kitchen cabinets. At first I thought it was an odd location for pottery, but in this space, it seems to work. For more on things to do in Sedona, see Sedona AZ: Part Great Outdoors, Part Inner Peace. 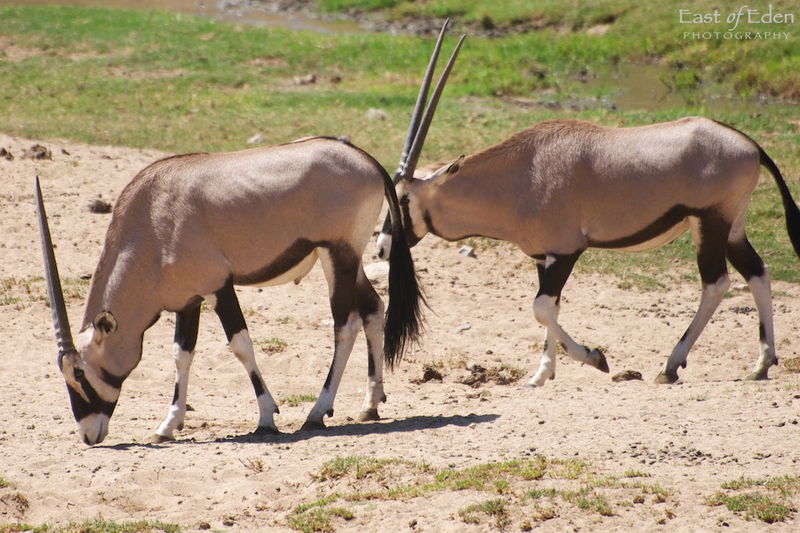 Double: Today, you and your camera are seeing double. Triumph: Triumph comes in all shapes and sizes. The trail to the summit of Diamond Head was built in 1908 as part of O’ahu’s coastal defense system. Much of the trail is a natural tuff surface with many switchbacks traversing the steep interior slope of the crater wall. The ascent continues up steep stairs and through a lighted 225-foot tunnel. 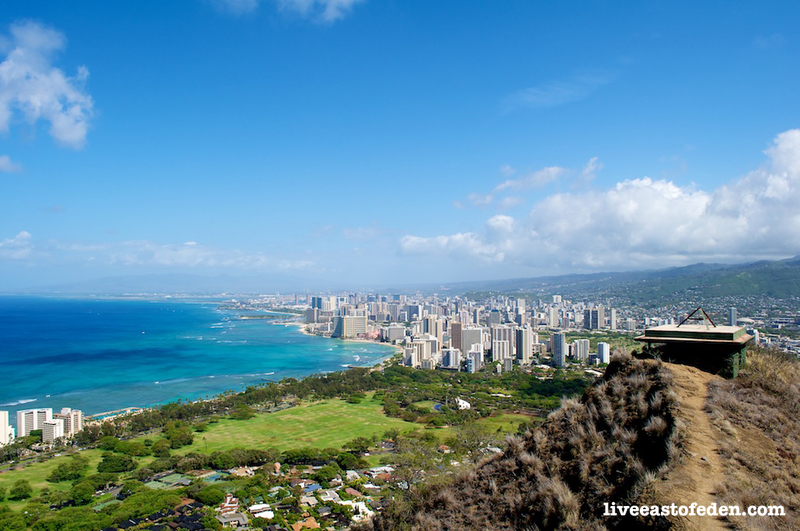 At the summit, the postcard view of the shoreline of southeastern O’ahu is stunning! Portions of the trail are uneven and steep, requiring caution and appropriate footwear. I came across many girls trying to look all cute in wedges, and some folks go casual in flip flops – neither is recommended. From the parking lot on the crater floor, the trail to the summit is 0.8 mile (1.3 km) one way and climbs 560 feet (171 m) in elevation. Better late than never 🙂 I love the simplicity of the pine cone in the snow. I’ve done that hike to Diamond Head, too! Loved all the pictures especially the treasure! Thank you! Who knew such a random object could have a special value? Your picture for glass is fabulous – very cool idea. Thank you! I love architecture that allows in a lot of light, so I am particularly drawn to skylights. Yes it really works with the gorgeous sky being framed so nicely.